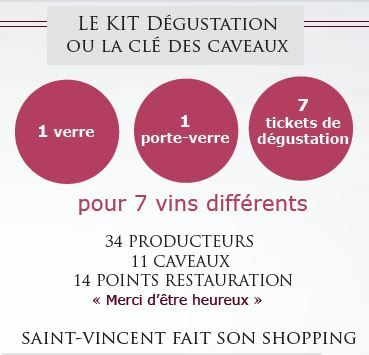 Entry to the Saint-Vincent is via the purchase of a Tasting Kit available on the day when entering the village. The 'Kit' will cost 15€ and comprises 1 Saint-Vincent Irancy 2016 Glass, Glass-Holder and 7 tasting tickets which represent 30cl of wine. ...and if you just feel that you cannot wait any longer, then you can always order some of the above items from our friends at Yonne Tourisme at the following link!